Travel back 2,400 years when you visit the Roman ruins underneath the city. A treat for architecture lovers! Follow your guide and hear interesting commentary as you walk through the historic center of Naples, a UNESCO World Heritage Site. Amazing amount to see In Naples, guide was excellent and tour a good intro to Naples old town. Only blip was waiting an hour for pizza at lunch after tour at guide-recommended restaurant but pizza never came. Uncover the history and artistry of Naples with this half day tour, where you will see architectural masterpieces and get a chance to taste the delicious food of the city! The tour begins with an exploration of the city above: visit the Baroque sites of Piazza del Gesù Nuovo, a lively square that is one of Naple's most beautiful, and the Piazza del Plebiscito, a large public square surrounded by the royal palace and the church of San Francesco di Paola. 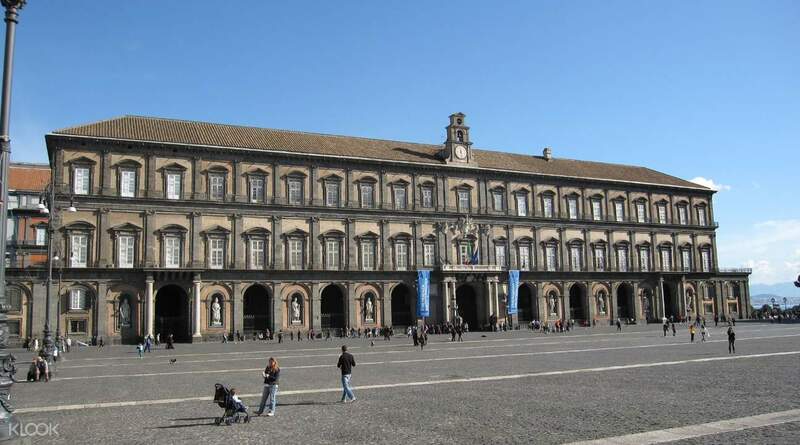 Walk through the historic center of Naples and travel through twenty centuries of history. Admire the gorgeous architecture of the Galleria Umberto I, a public shopping gallery, with its tall structure and topped with a breathtaking glass dome. You'll be given time to explore and have lunch at your own expense, where you can try the city's delicious pizza, pasta and coffee before walking down 40 meters underneath the city. 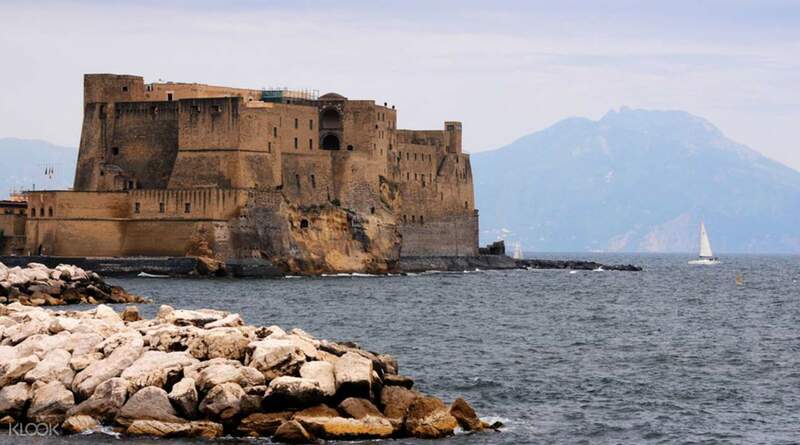 Here you will find yourself in a different world: the heart and birthplace of Naples that has been buried through time! 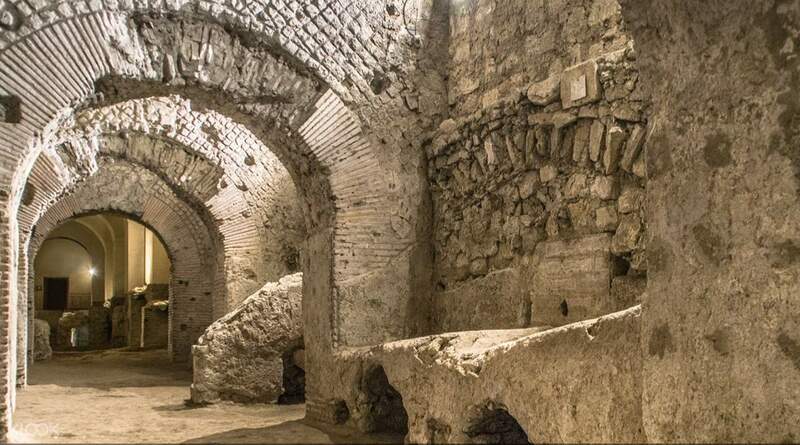 Escape the hot afternoon sun and learn about the city's long history as you explore dark and narrow aqueducts as well as a theater that was used during the time of the Romans many years ago. This is a fantastic way to explore and experience the best of what Naples has to offer! See the city of Naples at its best with this guided half day tour! Amazing amount to see In Naples, guide was excellent and tour a good intro to Naples old town. Only blip was waiting an hour for pizza at lunch after tour at guide-recommended restaurant but pizza never came. Amazing amount to see In Naples, guide was excellent and tour a good intro to Naples old town. Only blip was waiting an hour for pizza at lunch after tour at guide-recommended restaurant but pizza never came. Enjoyable and interesting tour. Guide is pretty and provided interesting insight into Naples' history and culture along the way. Enjoyable and interesting tour. Guide is pretty and provided interesting insight into Naples' history and culture along the way. Unforgettable experience! Excellent arrangement! Unforgettable experience! Excellent arrangement!